Russia, Russia, Russia. That’s pretty much all we’ve heard in the media the last 90 days. No good accomplishment in Washington at all matters: major job creation, reducing U.S. debt dramatically, cutting southern border illegal crossings by 70%, hundred of arrests for child trafficking, marked improvements with multiple foreign leaders, a House passed repeal/replacement plan for Obamacare that will give Americans marked premium reductions with a huge decrease in the budget deficit — NONE of this matters. The only two things that matter (especially to the Alt Left Media) are that Russian intervention stole the presidential election from Hillary and Donald Trump did in his campaign and since being in the White House have surreptitious ties to the Russian government. Media hacks disregard that “if” the Russians actually leaked Hillary’s emails, that’s all they did. I am certain that those emails did make a difference in the election, but only in that Americans from reading the content of those emails saw the “real” Hillary and disliked her enough for many to decide to vote against her. The second Russian issue according to the Media is White House ties to Russia. No matter that for six months every conceivable intelligence Russian specialist in the CIA, FBI, DNI, and NSA have been trying to stick a fork in that slithering “truth” about Russian ties to the Trump camp and have not found any. 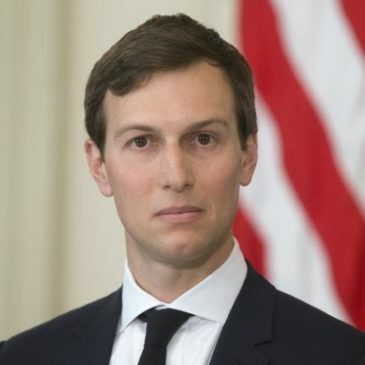 They now have “proof” (from an unnamed source no less) that Trump son-in-law Jared Kushner initiated setting up back-channel communications between the White House and the Russian government. The impeachment drums are sounding again. But the words of two retired U.S. military generals mean nothing to the Alt Left Media. I am pretty certain that McMaster and Kelly have fundamental understanding of what is reasonable and acceptable for White House communications with foreign governments — a much more credible and unbiased understanding than do the media. But to the media’s credit, would it not be fair to simply accept their premise that anything to do with Russian connections with the U.S. Government is suspect? After all, this is the first time in U.S. history that any president has had (or attempted to have) such back-door communications access to Russia and other foreign governments, right? On a day in early December, one of Moscow’s agents in the United States, working undercover as a journalist for Izvestia, reported a private meeting with the president-elect’s “closest adviser.” The adviser, who met privately with the Russian spy, was frank and hopeful about a significant improvement in relations from the previous administration. He “stressed that was not merely expressing his personal opinion but the position of the future president.” The two men met alone and there was no American record made of the encounter. This is not a report about Lt. Gen. Michael Flynn, whose activities during the transition are now being investigated. 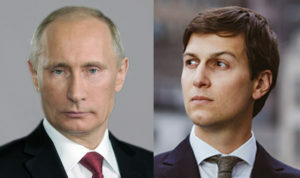 Nor it is about Jared Kushner, who, the Washington Post reported, approached Russian Ambassador Sergey Kislyak last December to propose a secret communications channel. The meeting described above took place in 1960, and the “close adviser” was the incoming president’s brother, Robert F. Kennedy. It is not unusual for the Russians to want to establish contacts with an incoming presidential administration, especially when there is tension between the two countries. It is also not unusual for an American administration to use back channels to probe the intentions of adversarial powers. A year and a half of secret, back-channel negotiations between Cuba and the United States led to an exchange of prisoners in 2014 and the official opening of diplomatic relations between the two nations. The negotiations were conducted by two of President Barack Obama’s national security advisers and a small Cuban team. In August 2014, Michael Ledeen, a former consultant to the National Security Council and U.S. Defense Department, wrote a column stating Obama opened a back-channel to Iran during the 2008 presidential campaign. Ledeen said the back channel went through retired Ambassador William G. Miller, who also led the 1979 negotiating mission during the Iran hostage crisis. Ladeen wrote that Miller confirmed his back-channel involvement to him. Even prior to that, Back Channel to Cuba, written by Peter Kornbluh of the National Security Archive and William LeoGrande of American University, claims that every U.S. administration has had some kind of secret diplomatic dialogue with Cuba since President Kennedy in 1963. Declassified documents have revealed secret meetings all around the world — in airport lounges, restaurants, and hotel rooms, and in locations as far flung as New York, Paris, and Guadalajara — between Cuban and American officials. President Richard Nixon was also a big fan of back-channels for communicating with more hostile foreign governments like Russia and China in moments of crises. He even employed an informal committee to engage in these kinds of communications, known as the Washington Special Action Group. I’ll stop here without going into the dealings of then Secretary of State for Obama Hillary Clinton who in her official capacity approved the sale of 20% of the U.S. supply of uranium through a Canadian company to a Russian company owned by the Russian government and under Putin control and that officers of that Canadian company subsequently donated tens of millions of dollars to the Clinton Foundation and Bill gave multiple speeches in Russia for several millions of dollars — this in spite of Obama’s insistence (and Hillary’s agreement in writing) that the Clinton Foundation would accept no foreign donations while she was Secretary of State. So, every President since J.F.K. has had back-channel communications with Russia and other foreign countries. That list includes Lyndon Johnson, Nixon, Ford, Carter, Reagan, Bush 41, Bill Clinton, Bush 43, and Obama, according to reports from “Named” sources. Americans are beyond weary at the incessant tirade we see and hear daily from the most biased media on Earth and maybe even in World history, led by the Washington Post and the New York Times. Americans summarily reject any validity of any story from either of these newspapers, any other newspapers, and the cable and broadcast news television networks based solely on “unnamed” or “anonymous” sources. Americans are smarter than that. New idea for the Media: why not report the news instead of making yourselves part of the news? Wouldn’t that be novel!